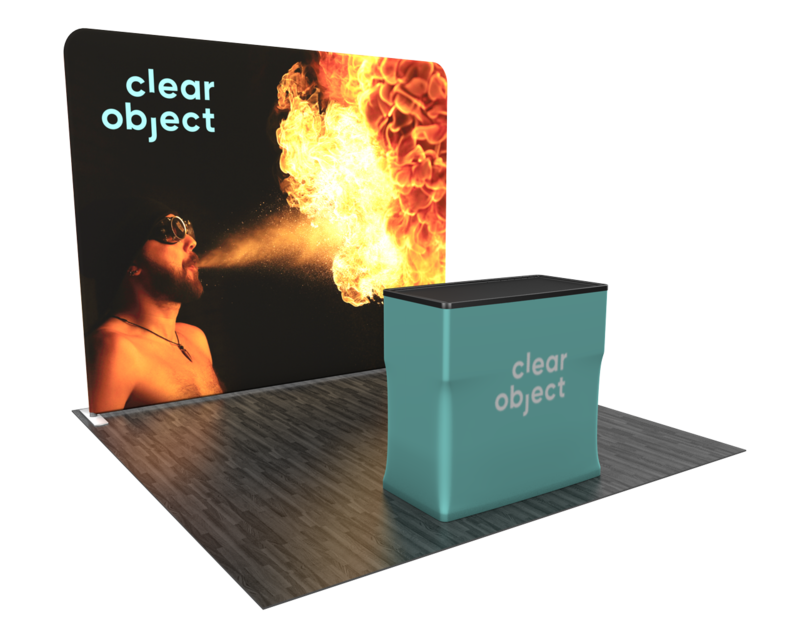 Enjoy the versatility of using this kit in a 10ft booth space or for smaller events. The two 5ft panels can be combined or can stand alone. Two hard shipping cases allow for easy storage and shipping and the printed cover and countertop create a convenient workspace. 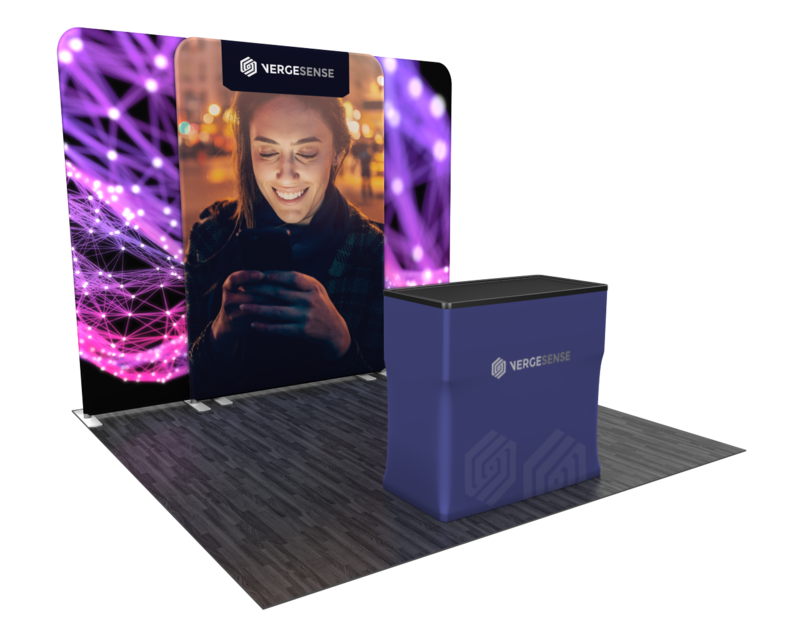 The Wavelight 10ft display kit features a case-to-counter and combines the best-selling features of our Waveline display with LED backlighting for the thinnest profile of a backlit display option in the exhibit marketplace. 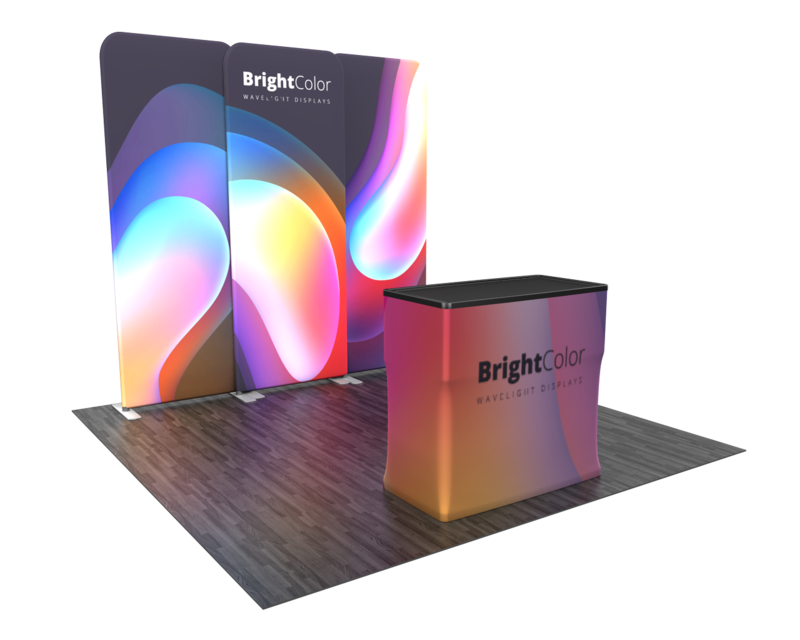 One of the thinnest tension fabric backlit displays on the market, our Wavelight display kits also boast unique configurations seen only here. The setup is easy. The aluminum frame is connected by bungee cords keeping the pieces in order. Once the frame is connected, LED lights are hung throughout the frame which provides bright even lighting. 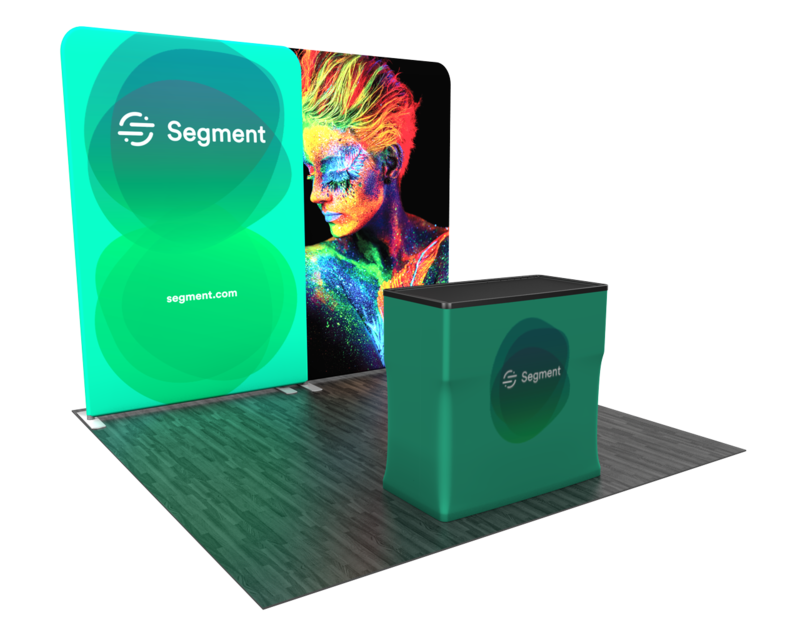 The custom designed and printed dye-sublimated fabric graphic slides easily over the aluminum frame and zips closed creating a taut visual. With a blockout fabric on the back, it keeps light from distracting. Zipper placement and grommet openings allow for cord management and access to the lights. 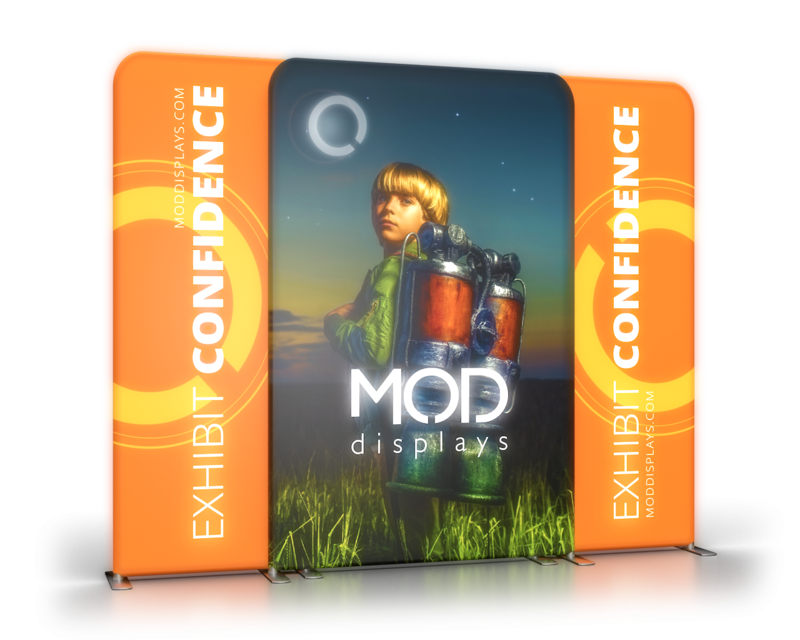 The simplicity of this backlit display is the ease of its setup in comparison to some lightbox displays. 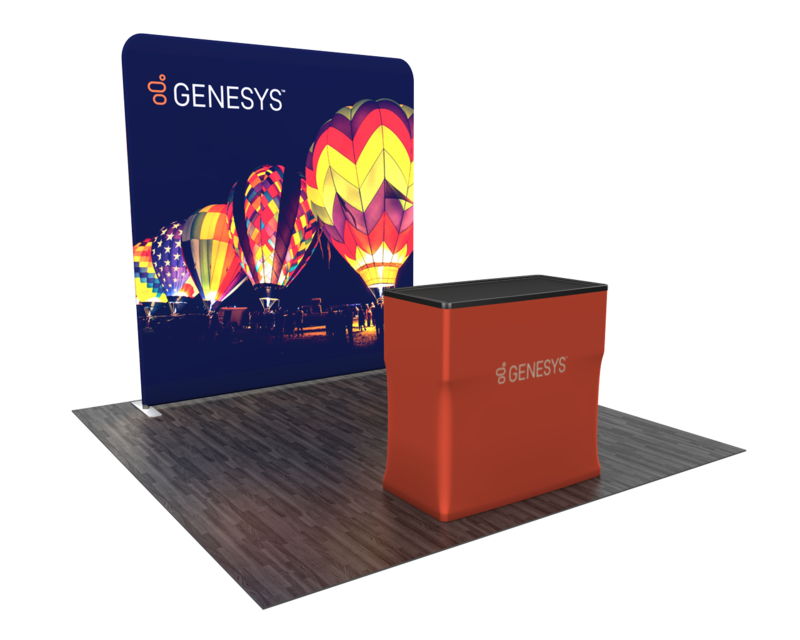 Great for trade shows as well as dimly lit interior spaces.